Join Dragon Boat Barrie for our 2nd Annual 5k Around the Bay to raise community awareness of the health benefits of Dragon Boat paddling. We’re putting our hearts into protecting the hearts and lives of Canadians everywhere. Join us for a five kilometer paddle around Kempenfelt Bay on July 26, 2015 from 10 am to 2pm. 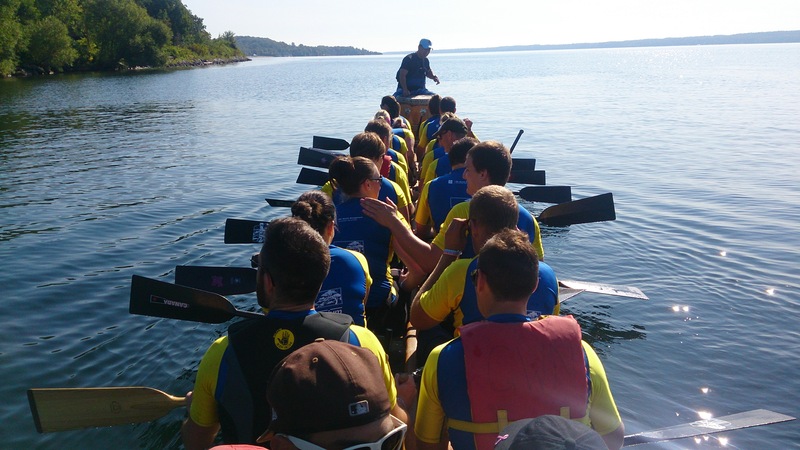 Meet other paddlers and enjoy the heart healthy benefits of dragon boat paddling out on beautiful Kempenfelt Bay. We live in the perfect environment to be healthy. Let’s take advantage of it! Registration is $10 (to be paid on the day of the event) plus a minimum $50 in pledges. You can either register for an existing team, or you can start your own! Space is limited to the first 80 participants. Your registration fee includes: Your paddle around the Bay, Bottled Water, Pizza, Snacks, Heart & Stroke Tshirt, Door Prizes, CAN$10 Slot Play @ Georgian Downs. Previous PostPaddle orders now available!Next PostBarrie Race Times Posted!